The harsh summer heat can sap your energy and enthusiasm. But don't fret. Whether you are staying indoors or hitting the road for a long trip, here are some gadgets to keep you cool. Having ice cream is the best way to beat the heat. What can be more fun is making ice cream at home. 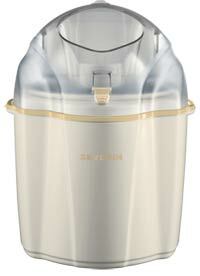 The Severin EZ 7402 can be used to make a litre of ice cream in less than 30 minutes. It can also be used to make a sorbet or frozen yogurt. The process is simple as one just needs to put the ingredients into the bowl and turn it on. The machine does the rest! The new range of air conditioners developed by LG Electronics introduces features for faster cooling even when humidity is high. The unique feature, however, of these ACs is a technology that keep mosquitoes away. The ACs use ultrasonic waves to do that. These waves are beyond the audible range of humans and only impact mosquitoes. This feature can be activated using a one-touch key on the remote. This is a cool solution to keep your drinks colder for a longer duration. Technically, this is an ice pack designed in a way that it matches the bottom of all standard cans. It maximizes the amount of surface area connecting the ice pack and the can. The ice pack gel can has been tweaked to reach temperatures lower than standard ice, so it can keep a drink colder, longer. Is the rising mercury taking toll on your health and mood? Ice Wrap is a scarf that will keep you cool for hours. It is made from hi-tech crystal polymer. It activates when soaked in cold water for just a few minutes. This comes handy when one has a direct exposure to sun. It can be used up to 30 times under scorching heat. 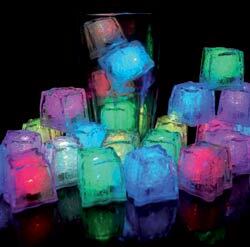 These funky LED Ice cubes can lighten up any gathering. The waterproof ice cubes can be frozen in one colour or one can let it automatically switch through eight colours. These ice cubes are made of high-quality, food-safe acrylic plastic. The LEDs can be activated by pushing a button on the cubes. Meant for indoor and outdoor parties, the Philips Wine Cooler is just perfect for an evening get-together. The Lumniware Cooler is powered by a rechargeable battery and can operate for up to 12 hours on a single 10-hour charge. It has integrated LED technology along with soft touch controls on the base to turn it on and off. One can choose between the eight colours or select the loop that will cycle through all colours. One can even adjust the brightness. It has a double insulating layer which ensures that the beverage will stay chilled. Often forget to wear sunscreen before stepping out in the sun? 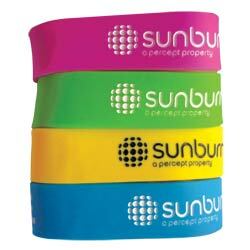 Get these funky wristbands that remind you to apply the sunscreen or seek shade. The adjustable, waterproof and disposable band can be calibrated to work with sunscreens with SPF 15 and higher. Each time you apply the sunscreen, just coat the UV band too. The band turns brown when it's time to reapply the sunscreen and peach when it's time to get out of the sun. This is a st ylish carrier for picnics and getaways. The carrier has an insulated lining that keeps things cool. So be it your cold drink, salad or smoothies, everything remains cool. It has a foam handle for an easy grip, and is easy to store as it folds up. This is a bladeless table fan that looks good and doesn't add to noise pollution. The new Dyson Cool fan has been engineered to be quieter and uses a brushless DC motor that consumes 30 per cent less energy. It is safe to use, easy to clean and is accompanied with a remote control. 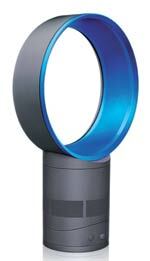 Airflow can be diverted around a room - an independent motor drives smooth oscillation. Fan pivots on its own center of gravity, staying put without clamping. Come summers and you cannot escape from mosquitoes. All Out and Good Night cakes are solutions we often rely on inside the room but handheld zappers work the best when outdoors. These zappers are in the shape of a badminton racquet and need to be charged to work. Charge it once fully and turn it on. Just press the key and bring the zapper near the mosquito. The mosquito dies as soon as it comes in contact of the zapper. This is available at most stores these days. 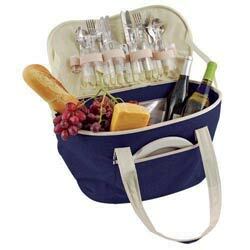 This Countryside Cooler is a versatile bag that comes with a complete four-person setting. Measuring 11.8 x 9.5 x 15.6 inches in dimension, it is brimmed with four acrylic wine glasses, four plates, four forks, spoons and knives, one corkscrew and one salt and pepper shaker set. Its reflective foil keeps food and drinks hot or cold for hours. Felt thirsty while working but too busy to go to the refrigerator in the kitchen or the office cafeteria for a cold drink? You can now have a fridge at your workstation in home or office. The USB fridge is meant for individuals as it can only store one can at a time. It takes power from the computer, through the USB cable, and is handy to use. It doesn't need any drivers to be installed and works flawlessly with a Mac machine too. You may have a power backup at home but that may not be sufficient during a long power cut. For such times have a rechargeable fan with light handy. 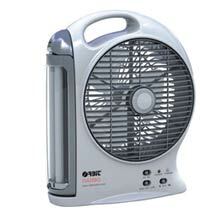 This two-speed rechargeable fan has two six-watt fluorescent tubes for ample light. It can last up to four-and-a-half hours. A handle on top makes it easier to carry anywhere.